Do you constantly crave sugar and carbs? Would you say that you are having a love affair with sugar and carbs? If you find yourself saying yes to these questions, then your taste buds, brain chemistry, hormones and metabolism have been hijacked. And this has happened to not only you but to over 200 million other people in this country. 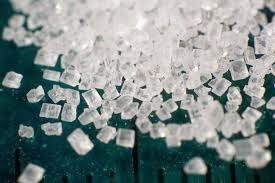 The average American eats 152 pounds of sugar per person per year. That’s almost one 1/2 pound of sugar per day for every man, woman and child in America. That’s a lot of sugar, a lot of overproduction of insulin, which is a fat storing hormone, and a lot of unhappy and sick people!!! It may be helpful to know that you are not alone but what is even more helpful, is that there is a simple solution that can change your cravings, brain chemistry and metabolism. The fact is, is that sugar is a drug and it is addictive. It lights up the pleasure center in our brains like a pinball machine. There is actually a new science that studies food addictions. They have conducted tests where rats will go for sugar over cocaine every time. The Oreo cookies always win. Sugar is eight times as addictive as cocaine. It lights up our brains and we wonder why we can’t stop? To get a better understanding of why it is so addicting and how you can change your brain chemistry around, please join me for my upcoming webinar, Addicted to Sugar…Now What Do I Do? If you can not attend Wednesday, the 12th at 6:00 P.M. PST, but would still like to hear this eye opening webinar, don’t worry, you can listen to a recording of the Webinar, at your convenience by using the link above to sign up. Why have your attempts at dieting failed? Because the plan could not last a long time and more importantly, the foods did not give you what your bodies needed.